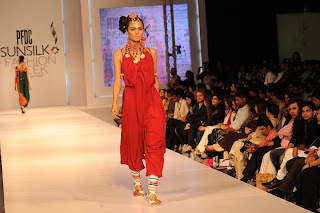 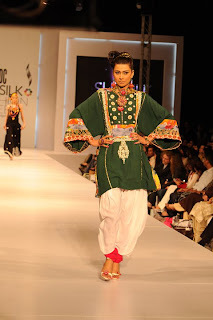 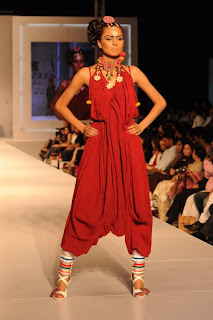 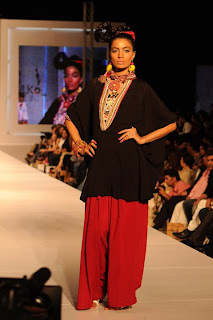 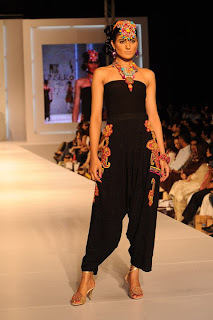 FNKAsia’s collection entitled ‘Sea Merchants’ at PFDC Sunsilk Fashion Week Lahore 2011 was inspired by Pakistan’s priceless treasure trove of craft. 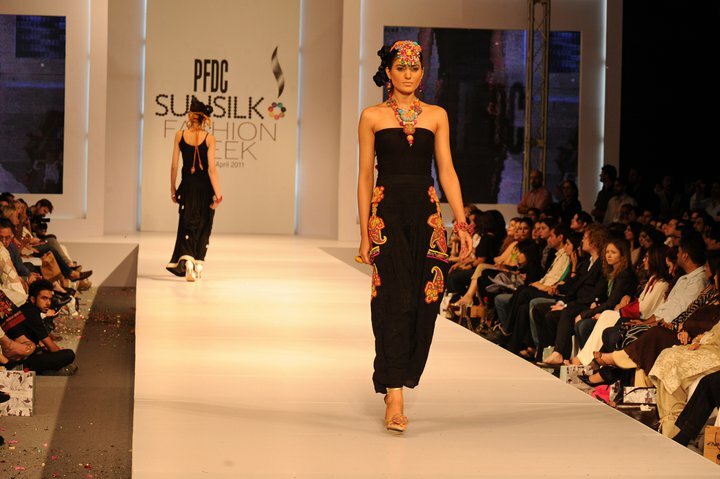 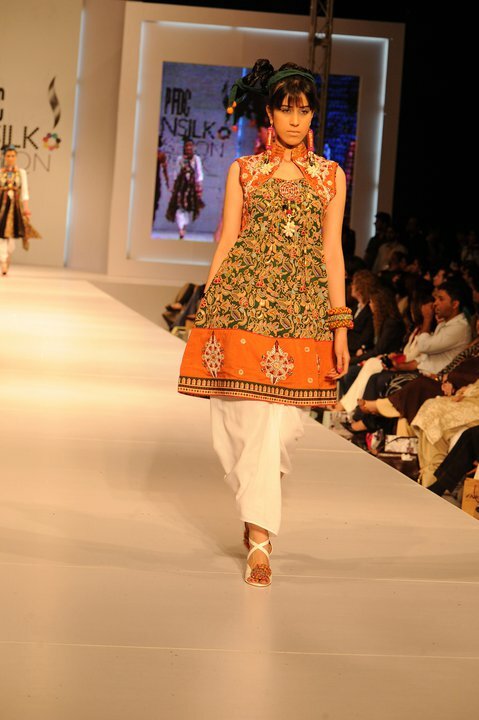 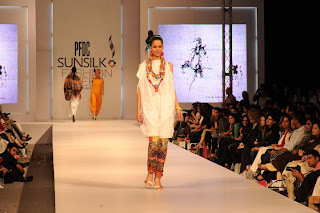 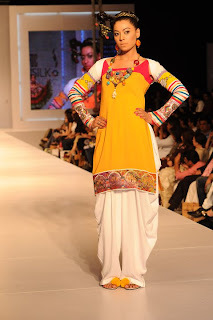 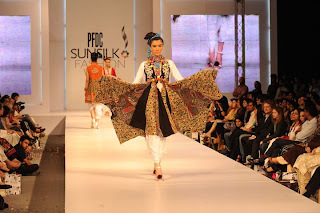 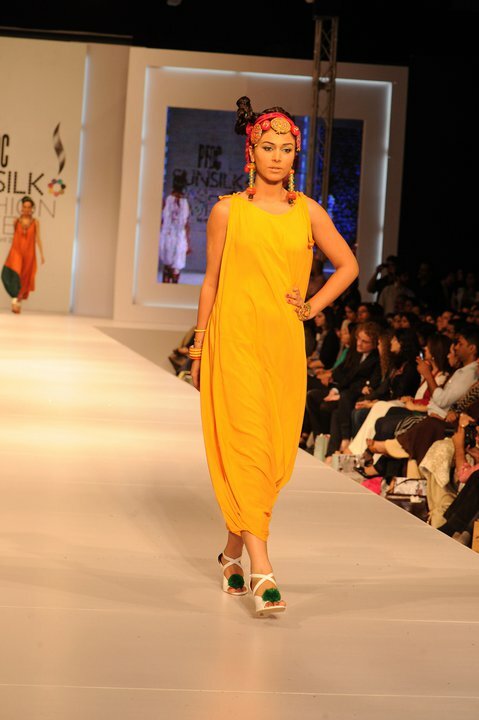 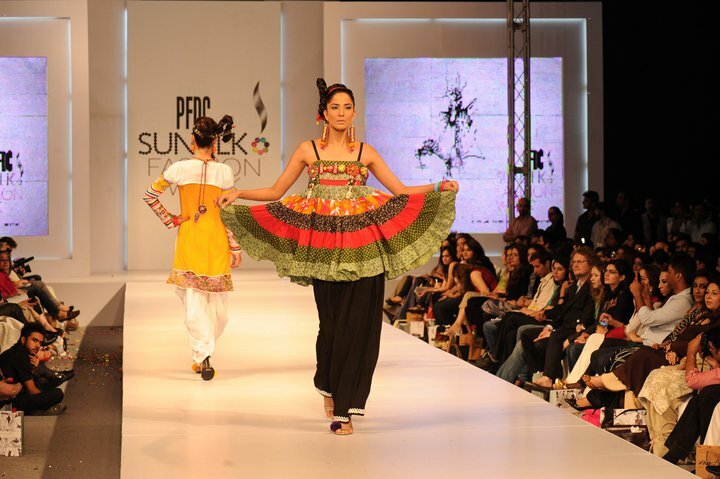 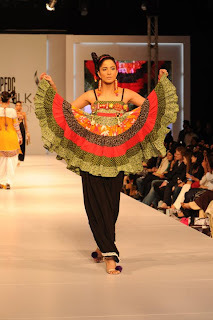 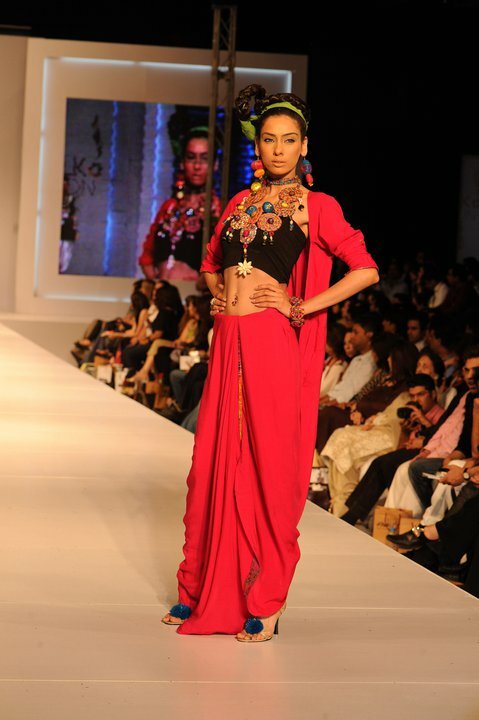 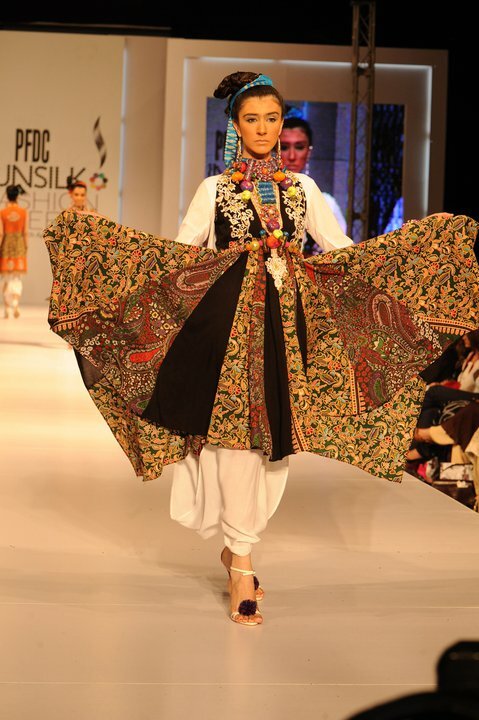 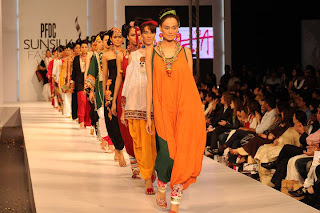 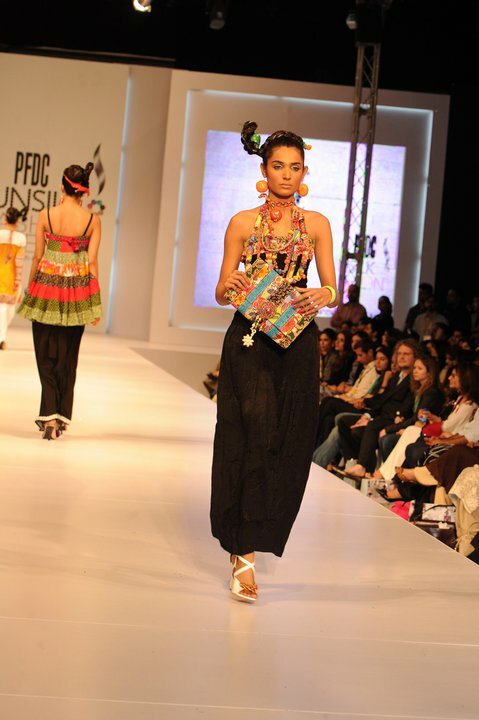 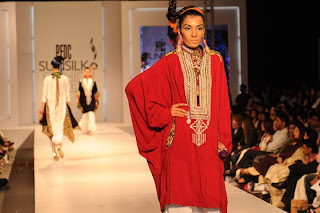 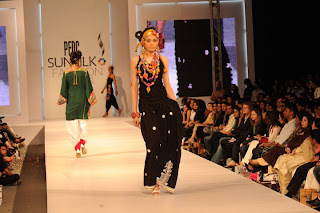 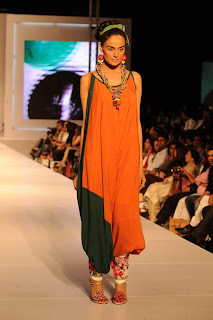 With its latest collection 2011 at PFDC Sunsilk Fashion Week Lahore 2011, FNKAsia drew upon the many wonders of nature found in vibrant corals, florescent sea urchins and wild anemones. FNKAsia, with its latest collection played the role of sea merchant, dredging up the ocean surface for these treasures and carrying them across to runways in the form of fashion. FNKAsia presented a solid palette this summer, focusing on an array of lowers be they pocketed shalwars, stretchy churidaars or tights. 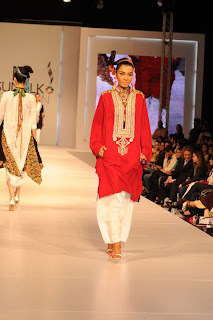 Bringing the slim streamlined structure back into a woman’s wardrobe, the muslin shirts and tunics were smart, light on the body and easy on the eye. 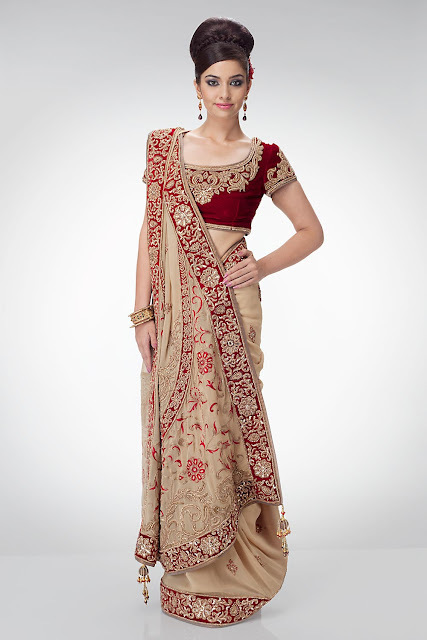 The fabrics used were pure, light and organic, best suited for summer.